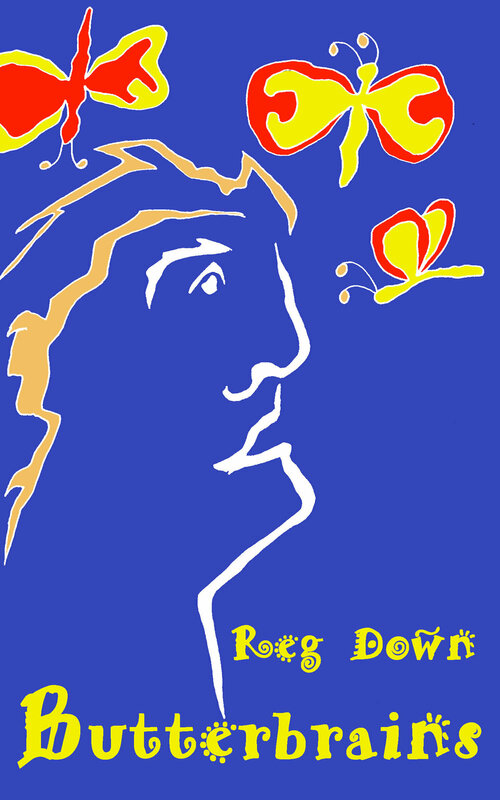 A synopsis of Butterbrains, a fairy tale by Reg Down. Includes age suitability and cover design and a links to Kindle books. Once, long ago, there lived a simpleton. He was so simple that he ate his soup with a fork and buttered his bread with a spoon. In summertime, butterflies flitted about his head, and it was a common sight to see him walking along, paying not the slightest heed, while round and round his head the butterflies shimmered and danced. The townsfolk laughed and jeered and call him Butterbrains—or worse—but he never seemed to mind, and went on his way. Now the King of the land had a beautiful daughter. She was as fair as the sun and as mysterious as the moon. One day she fell terribly ill; so ill that none of the doctors could help her and everyone thought she would die. One night she had a dream, and calling her father to her she said: "I dreamed that if a man journeys through the twelve kingdoms surrounding our castle I will become well again." This is the beginning of the story of the simpleton who traveled through twelve extraordinary kingdoms and came back transformed. The twelve kingdoms are, of course, the signs of the zodiac, and Simpleton is the nascent individuality of the human being. Towards the end of the story he must submit to having his head bitten off by a shark. He does, and comes back transformed. Imagine my surprise when a shaman from Hawaii told me that this is the same image they use in their initiation rites! Butterbrains is too short as a book but too long as a short story, so I pubished it on Kindle at a low price. Purchase story. Suitable for grade 1 through grade 5 - and adults!